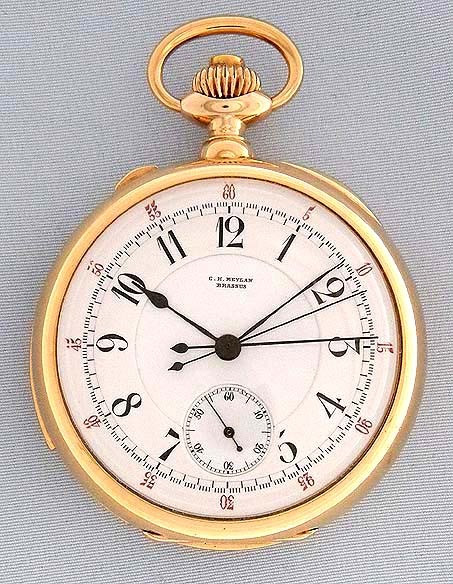 Fine and scarce Swiss 18K gold minute repeater split second chronograph antique pocket watch by C.H. Melyan, Brassus, circa 1890. 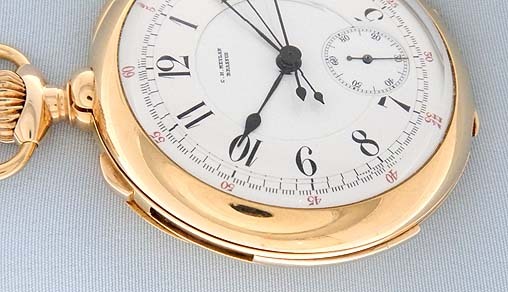 Fine white enamel dial (clean hairlines in the subsidiary seconds dial and below) with red black markings and blued steel hands. 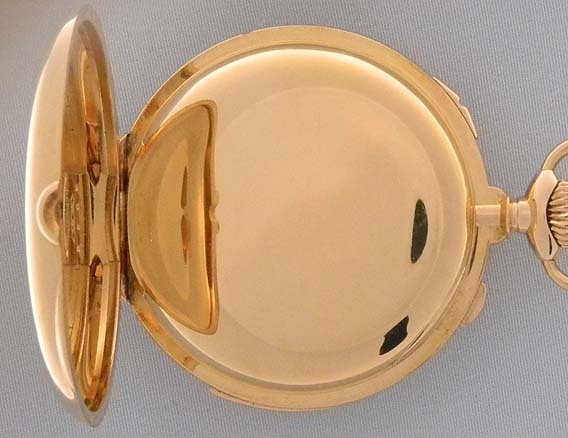 Plain polish case with one chronograph button in the crown, the second chronograph button and the recessed repeater slide in the band. 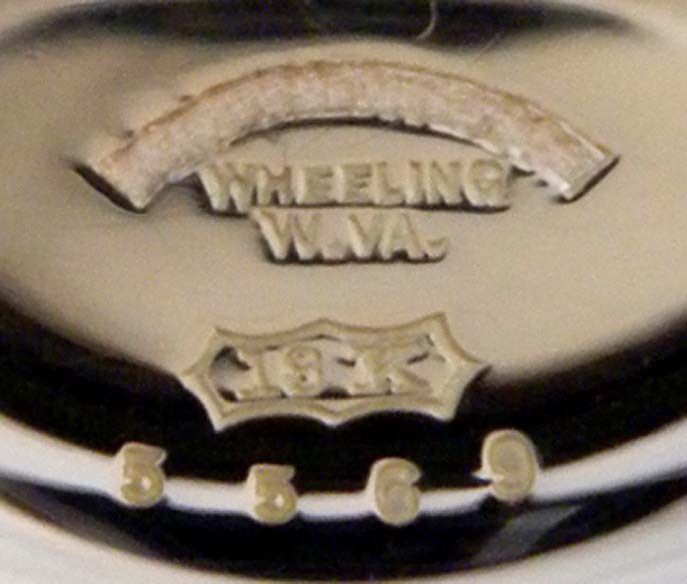 The retail jeweler's name removed from inside the cover. 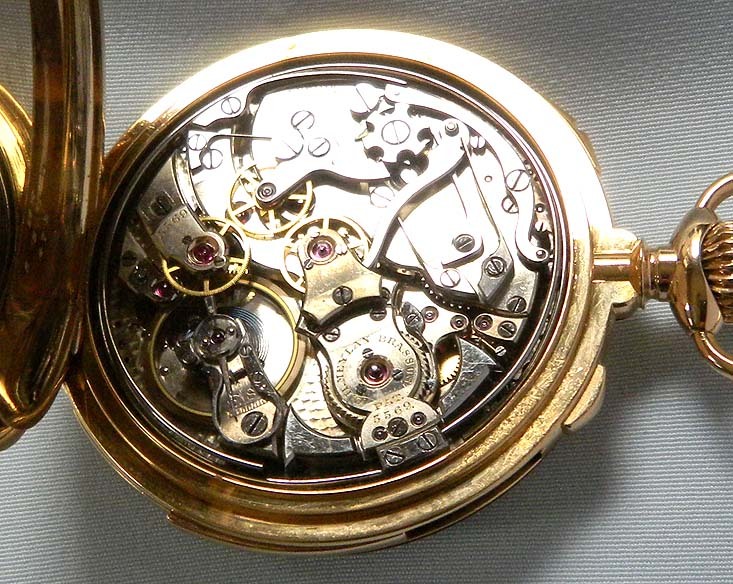 Fine nickel estimated 31 jewel movement, jeweled to the center and the hammers, with precision regulator, marked "Superior Adjustment" and with two serial numbers. 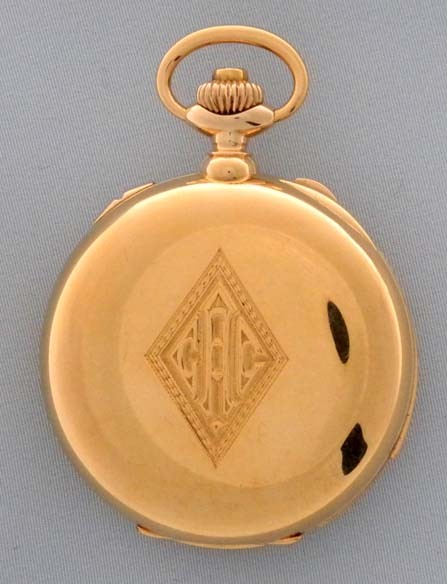 When activated this watch chimes the time to the nearest minute with loud clear tones. This watch is also able to time two separate events.